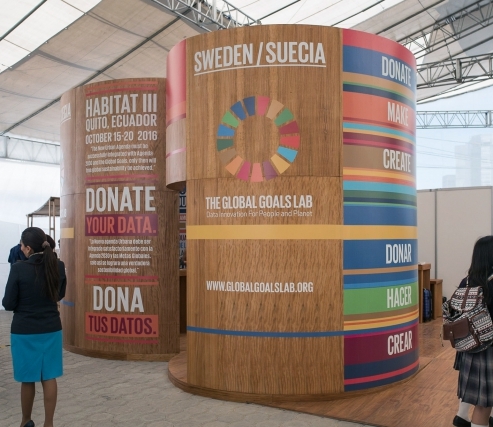 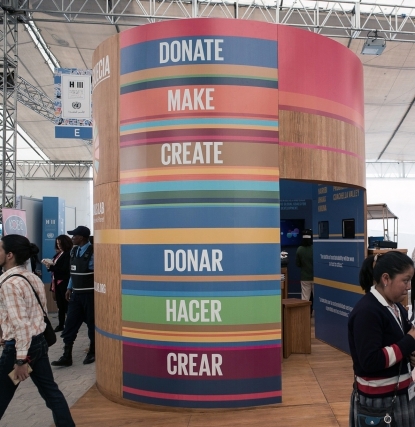 The Swedish Pavillion at the Habitat 3 in Quito, Equador was formed as The Global Goals Lab and developed in collaboration with Global Utmaning, Quantified Planet and with graphic design by Trollbäck + Company. 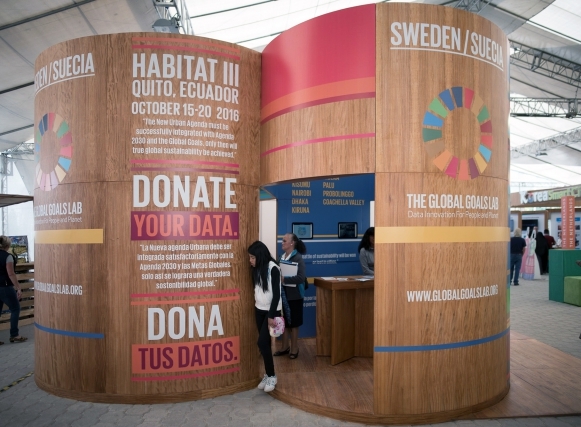 The exhibition show-cases how data can be used and collected to support sustainable urban development globally and the implementation of the 2030 Agenda. 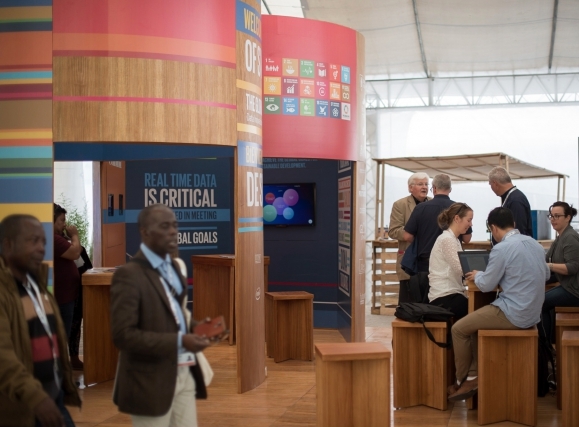 It shows how data from a range of stakeholders can answer to the Sustainable Development Goal 11 indicators – both in the implementation of sustainable urban development and in the follow-up of the goals. 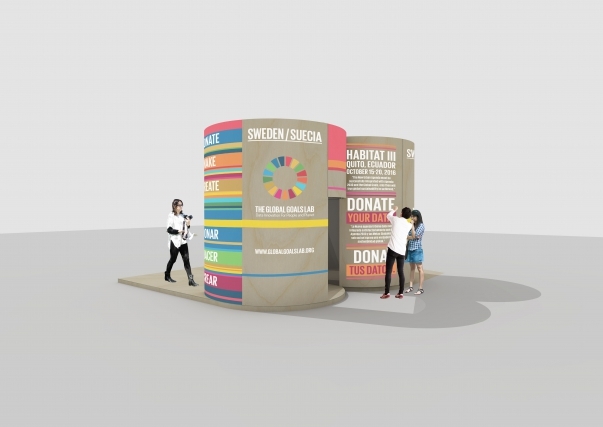 It also puts focus on other goals that reflect the priorities for Swedish foreign policy and Presidency of the United Nations Security Council: gender equality (SDG 5) and climate action (SDG 13). 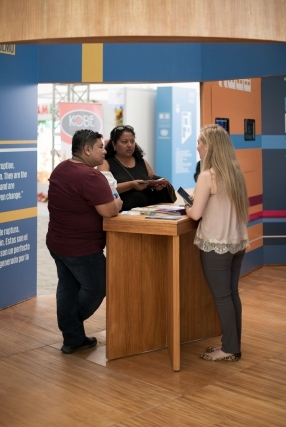 Included in the exhibition where our projects Birdsnest and KIKA Landsort.